It isn’t new information that Delhi NCR is one of the most polluted in the world. While we all need to take long term measures to curb it, there is a place we can go to when we want to breathe clean air and it’s at HUDA City Centre metro station! 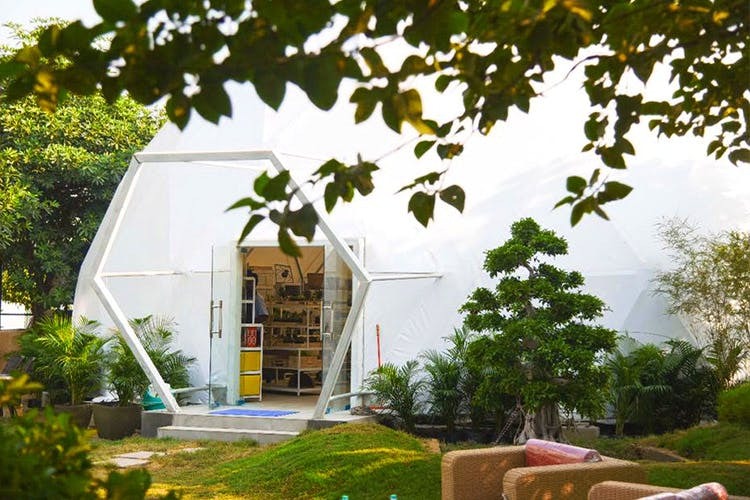 The oxygen chamber is a project initiated by the Delhi Metro Rail Cooperation in collaboration with Nurturing Green. The main aim behind it is to help us Gurgaon people escape the choking pollution and to get some actual oxygen into our system. Spread over a considerable area of 13,000 square feet, the oxygen chamber has mechanical air purifiers as well as plants that are known for decreasing pollution level in the atmosphere. The price, you ask? It’s free entry for everyone! We know the air is full of pollution but that doesn’t mean you don’t need a real breather once in a while. Rush to the O2 Facility at Huda City Centre Metro Station for healthy air.